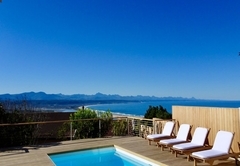 Stella Maris is a property providing self catering in Plettenberg Bay for up to 6 guests visiting the Garden Route region. 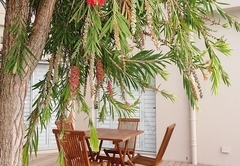 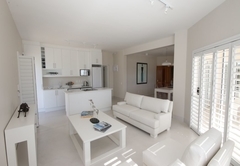 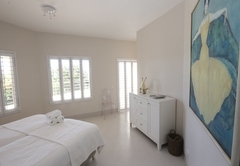 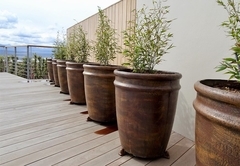 Stella Maris is a boutique, contemporary style apartment that provides accommodation for eight guests. 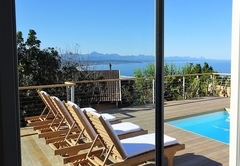 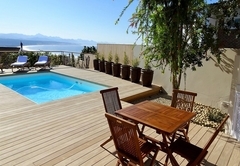 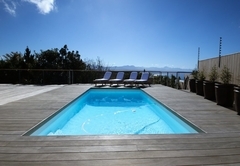 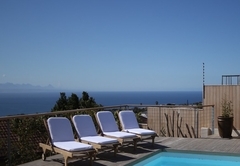 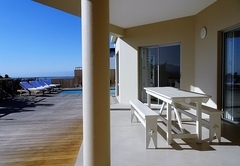 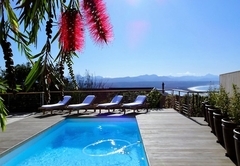 This apartment is brand new, fully self-contained and overlooks Bahia Formosa in Plettenberg Bay. 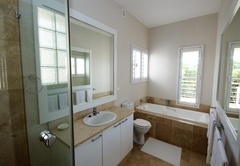 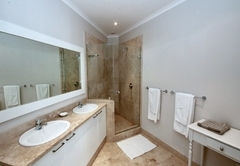 The self catering apartment has three en-suite bedrooms. 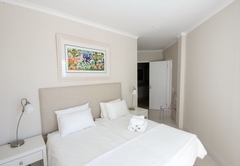 Two of the rooms are furnished with King-size beds (can be separated into single beds) and one has bunk beds. 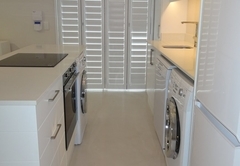 There is a stylishly furnished living area which is open plan to a modern kitchen equipped with a washing machine, tumble dryer and dishwasher. 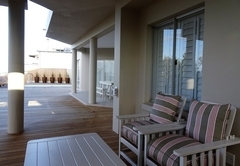 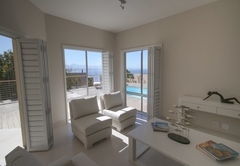 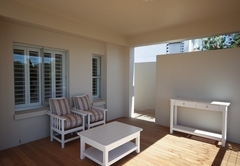 The Stella Maris living area opens to a wooden deck with sun loungers and magnificent views. 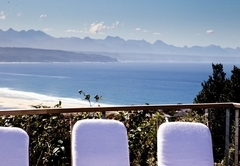 The location of Stella Maris offers panoramic views of the Outeniqua and Tsitsikamma Mountains, the Keurbooms Estuary and the beaches. 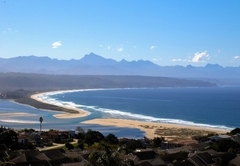 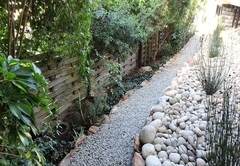 The village of Plett is within walking distance. 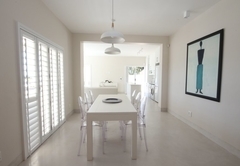 This 3 bedroom/3 bathroom (all en-suite) apartment is brand new and nestles on the ground floor of a luxury multi-story home with its own entrance and is fully self-contained. 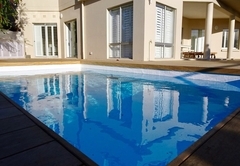 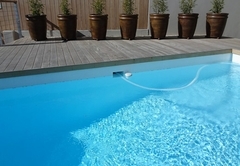 Equipped with flat-screen TVs, DSTV, Wi-Fi and a sparkling pool. 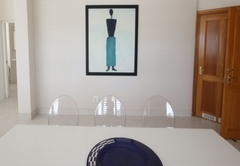 Response timeStella Maris typically responds to requests in 5-10 minutes.